Substance in the form of Solution by Quinck’s Tube Method. To determine the coefficient of viscosity of water by Poiseuille’s method. Study and verify the characteristics of various devices such as Diodes, (Si / Ge I Fast switching), Transistors ( CB, CE, CC for different NPN & PNP transistor), FET, UJT, MOSFET, SCR, Diac, Triac, LDR, Zener Diodes, LED’s. • Study working of resistors, capacitors, inductors, potentiometers, output transformer, speaker, relay. • Study and verify the basic theorems & laws such as resistors/ capacitors / inductors in series / parallel and combinations thereof, Ohm’s Laws, Kirchoff’s voltage law, Kirchoffs current law. 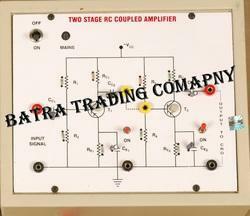 • Study & verify the RC, RL & RLC series & parallel resonance circuits, filters (LP, HP, BP, BR). • Study & verify the clipping, clamping, biased clippers, half wave, full wave & bridge rectifier circuits. • Study and verify the voltage regulators circuits using zener diodes & transistors. • Study and verify the digital gates using diodes and transistors. • Study and verify the performance of amplifiers such as CB, CE, CC transistor amplifiers, power amplifiers, audio amplifiers, differential amplifiers and feedback amplifiers (current series/shunt). • Study and verify the oscillators such as phase shift, astable, monostable, bistable and Schmitt trigger. • Many other experiments can be designed I performed using the onboard components and special veroboard provided (for use of external components without soldering). AC Supplies : 9-0-9 V AC / 500 mA. Veroboard : Unique veroboard type socket with termination for use of external components I IC’s up to 20 pin without soldering. Potentiometer : Three Potentiometers (1K,1OK and lOOK) with terminations. Speaker : One 8 ohms miniature speaker with terminations. Relay : One 1 2V I 1 C. 0. relay with terminations. Power ON : Power ON switch with indicator for mains on indication and fuse for protection. Patch Cords : Set of 20 assorted coloured multi-stand wires with 2 mm termination at both ends. Instruction Manual : One detailed instruction manual with well thought out experiments covering the above topics. We are instrumental in offering a wide range of Ray Optic Kit to our clients. In synchronization with the set industry standards, our provided kit is precisely manufactured using high grade basic material and superior technology. Owing to its durability and long service life, this kit is widely appreciated among our precious clients. Moreover, to ensure the best quality, the offered kit is tested by our quality auditors against different quality parameters. We are counted as a top notch manufacturer and supplier of Solar Cell Characteristic Apparatus. 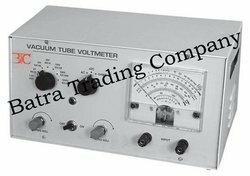 Available with us at cost effective prices, the offered apparatus is used to study the characteristic of various solar cells by drawing the graph between current & voltage and resistance & voltage. 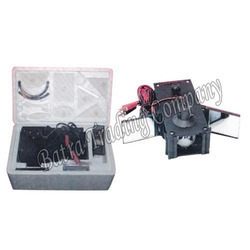 The offered solar cell characteristic apparatus is easy to use. Small size for easy storage and portability. 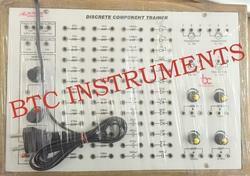 BTC InstrumentsDigital Electrophoresis Power Supply with constant current and voltage to ensure smooth power supply. Our Digital Electrophoresis Power Supply is widely demanded for both mini Horizontal and mini vertical Electrophoresis Apparatus. We designed with precision these Digital Electrophoresis Power Supplies to ensure smooth performance for a long time. 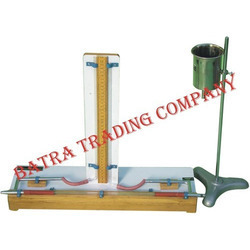 Electrically maintained tuning fork, fine thread, scale pan, weights and metre scale. Speed of waves in a stretched string: A string means a wire or a fiber which has a uniform diameter and is perfectly flexible. The speed of a wave in a flexible stretched string depends upon the tension in the string and mass per unit length of the string. Longitudinal mode- In this arrangement the tuning fork is set in such a manner that the vibrations of the prongs are parallel to the length of the string. 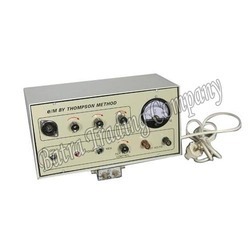 Trainer consisting of Regulated power supply of 5V/1 Amps., Clock Generator (1,10 &100Hz), logic input switches(Bounceless) - 8 No., output LED indicators(Buffered) - 10 No., seven segment display with decoder IC ( 2 No.) 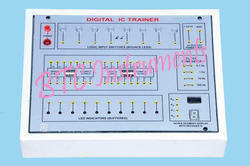 , Big Size board with all IC mounted beneath the front panel & Functional diagrams of all digital circuit e.g. logic gates (AND, OR, NOT, NAND, NOR & EX-OR 4 No. each) , Multiplexer, RS, D & JK flip flops, Decade & Binary Counter, Universal Shift-registers,Full adder,Magnitude comparators, Decoders etc. 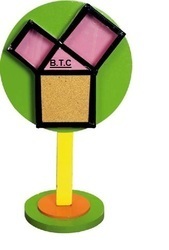 , IC bases of 14 & 16 Pins for mounting any additional IC are also provided. 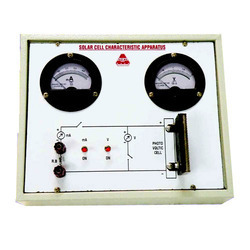 Calibration Accuracy : AC Voltage ±4% on all ranges. DC Voltage ± 3% on all ranges. Resistance within ±2% on all ranges. Frequency Response : Within range of 50c/s to 5Mc/s flat. Ohms in Parallel with 25P.F. Source of Supply : 230volts 50c/s AC. In the helical method a cathode-ray tube is inserted in a solenoid and e/m determined from the condition for focusing deflected electrons to a spot on the screen. OBJECT: To determine the value of e/m for an electron by Helical method. 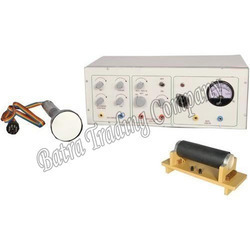 APPARATUS: The set of Experimental set up comprises of the following: 1.DC Power supply for apparatus comprises of the following built in parts: (a)H.T. (High Tension) DC power supply continuously variable from 375V to 850V±5% for acceleration voltage control. (b)DC Power supply for solenoid 0-60VDC variable in steps through two band switches (5 steps) using fine and coarse controls band switches. (c)Potentiometers are mounted on the front panel for Focus control, Intensity control and X, Y shift controls. (d)Two meters to measure acceleration voltage &solenoid current are mounted on the front panel. (e)Eight pin octal bases are mounted on the front panel to connect the CRT plug. 2.One long solenoid wound on 4 dia PVC with 23 wire gauge, mounted on wooden stand & connections brought out at terminals. 3.CRT mounted inside the solenoid. 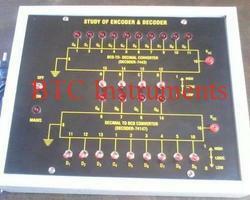 Objective : To study and verify the truth tables of Binary to Gray code Convertor, BCD to seven segment decoder, BCD to decimal decoder, decimal to BCD encoder. 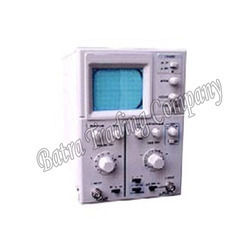 Features : Instrument comprises of DC regulated power supply 5VDC/150mA, 4 SPDT switches provided for selecting logic 1 logic 0,1HZ monoshot clock pulse, 4 output indicators, circuit diagram for IC 7490, IC7447 7-segment display printed connections for various inputs outputs brought out at the sockets on the front panel. Traveling Microscope are the instruments which are used to zoom up the very tiny and microscopic things to a seemingly greater size with the help of high power and combination of supreme quality convex lenses. These traveling microscopes are specially designed in a very compact and miniature form to make it easy to carry from one place to another in a very efficient and reliable manner. These travelling microscopes are portable and can also be used on the way of journey for the purpose of research and studies. 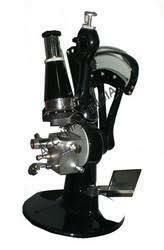 We have set a very attractive range of prices for these travelling microscopes for our clients. 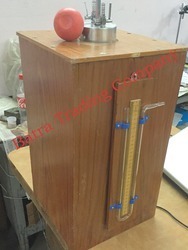 Choke characteristics apparatus has been designed to study the characteristics of choke Hence determine the value of choke inductance. 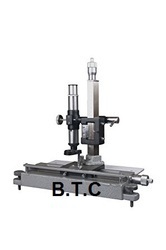 Designed for the Accurate & quick Examination of the Refractive Indices & Mean Dispersion of Liquids. Solids & Oil. 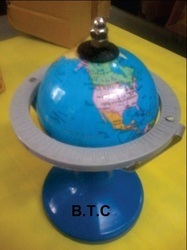 Looking for Physics Lab Instruments ?